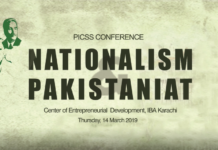 Pakistan Institute for Conflict and Security Studies (PICSS) organized a Roundtable on January 22, 2019. 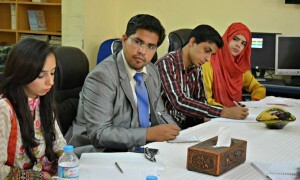 Topic of the session was “Countering violent extremism through civic approaches” while the guest speakers included Dr. Qibla Ayaz Chairman Council of Islamic Ideology and Dr. Musarat Amin Assistant Professor from Fatima Jinnah Woman University (FJWU). 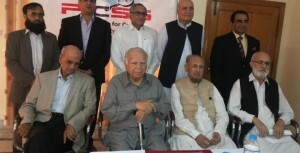 The session was attended by diplomats, academia, retired military personals and representatives from the civil society. Dr. Musarat Amin in her presentation highlighted the role of education in countering violent extremism. She was of the view that initiatives like Pegham-e-Pakistan are highly impactful, yet people donot know about it as it has not been propagated and advertised through proper channels. 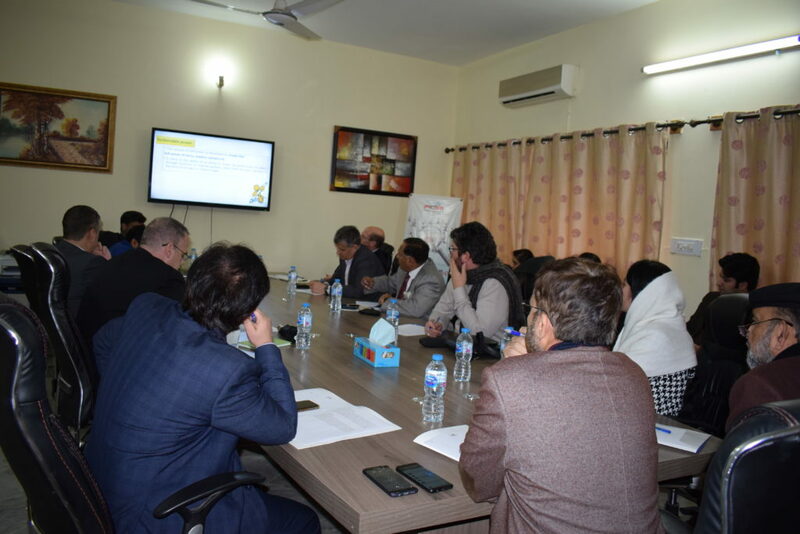 She briefly explained violent extremism and highlighted the fact that violent acts could be carried out by individual or group from a range of beliefs and ideologies. The concept of soft power given by Joseph Nye was also highlighted by her as it refers to the ability of an entity to shape the preferences of others through economic or cultural appeals, rather than through coercion in the form of strength or military might. The role of clerics, leaders and mentors is highly important as they are the form of soft powers, that impact the society in a wider range and broader perspective. Dr. Musarat highlighted the significance of soft approach to counterterrorism. 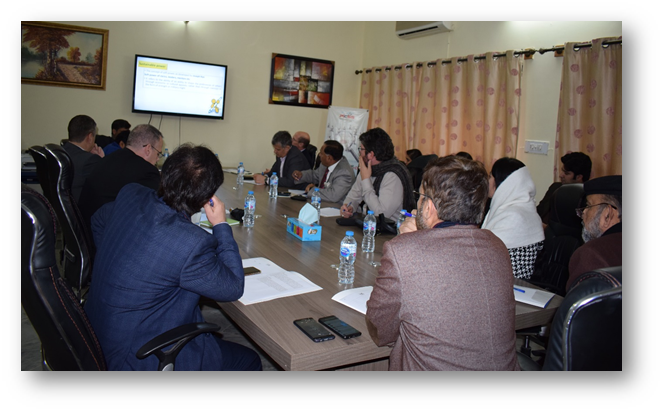 She emphasized on the fact that in order to defeat radicalization and violent extremism it is necessary to understand and refute the ideology behind it, rather than simply strive to eliminate every terrorist in sight. Types of Radicalization were also explained as Cognitive radicalization is the process through which an individual adopts ideas that are severely at odds with those of the mainstream, refutes the legitimacy of the existing social order, and seeks to replace it with a new structure based on a completely different belief system while Behavioral radicalization occurs when an individual takes the additional step of using violence to further the views derived from cognitive radicalism. Divisions, Grievances, Narratives and means are termed as the major factors of radicalization. 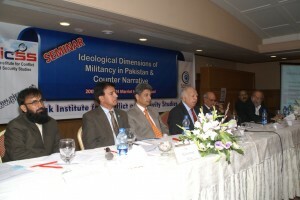 Dr. Musarat briefly explained that counter-radicalization basically seeks to undermine the individual’s resolve through counter-narratives, rebuttals, education, positive examples and attempt of others to encourage the individual to channel their passion in ways deemed more societally acceptable. She also categorized de-radicalization and disengagement and explained their fundamental difference that the former strives to introduce cognitive shifts, while the latter primarily seeks to modify behavior. She mentioned that success cannot be achieved solely by engaging in religious debate and discussion and if the extremist elements can be convinced that they have been following a corrupted understanding of Islam, It will not only undermine their worldview, but may also lead to the hampering of future recruitment since the ideology will be discredited. 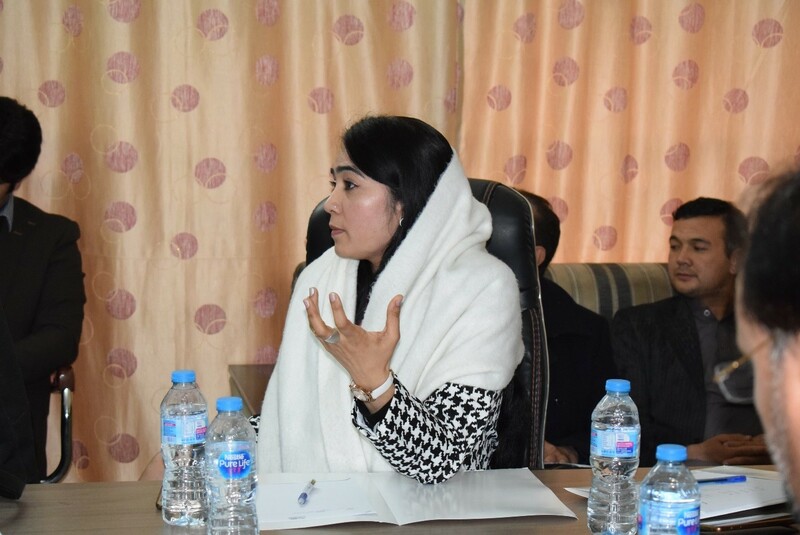 As a civic approach to counter extremism, she mentioned about the Building Resilience Against Violent Extremism (BRAVE) Program which was developed to engage residents in a wide variety of initiatives, premised on principles of social integration theory, that aim to promote pluralism and social cohesion. Another program is the Safe Spaces Initiative which relies on community-led and community-driven programs that communities and mosques will benefit from beyond the national security context. It provides a healthy environment for people to deal with issues of addiction, family issues, domestic violence, political grievances, among many more. She emphasized on the issue that Education can play a very influential and critically important role in countering violent extremism. Not only can it work to promote Inclusion, strengthen social cohesion, support the emotional development of children, and help develop engaged citizens but Education can also exacerbate existing tensions and divisions, foster exclusion and inequality and promote harmful ideologies and behavior. Schools and educational institutions can create an atmosphere of tolerance and harmony while children and young people can support each child as an individual with opinions, needs and aspirations. Teacher can encourage multiple viewpoint and develop critical thinking skills of the students in order to prepare them according to the modern and contemporary approaches. Dr. Musarat also pointed out that in case of Pakistan a desire for change and to overthrow the existing governments proved out to be the major reasons despite poverty and lack of education for an individual to become a religious extremist. She briefly explained Pakistan’s initiatives of counter radicalization and de-radicalization. Counter Radicalization initiatives include madrassa Reforms, National International Security Policy 2014, National Action Plan 2014, Counter Terrorism Operations, Pakistan Protection Act 2014. De-Radicalization programs include Swat Program and the Punjab Program. 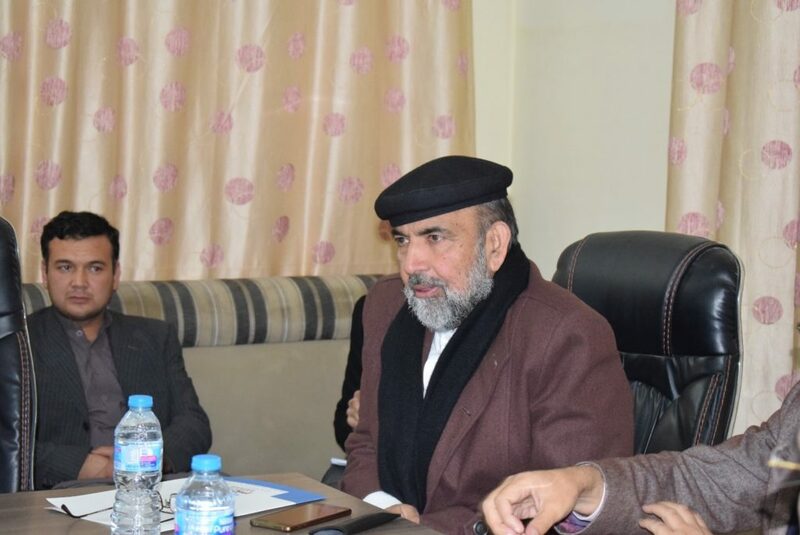 Dr. Musarat emphasized that a National Counter-radicalization Policy is the need of the time and should be formulated by the Government on an immediate basis. Community Engagement and Community Resilience, Counter-Narratives against extremism, Faith-Based Networks and Moderate Religious Scholars and Annual CVE Summits and Symposiums are some of her policy recommendations to counter and effectively address the issue of violent extremism. 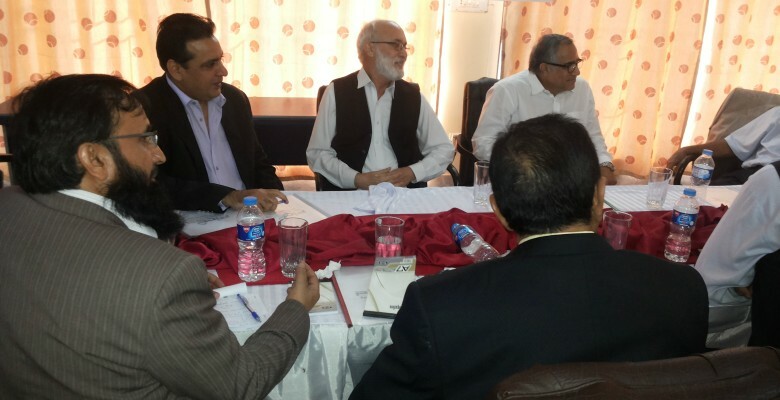 The second speaker of the session was Chairman Council of Islamic Ideology Dr. Qibla Ayaz. He initially highlighted the failures of Pakistan that policy makers have not been successful in changing the curriculum and adopt a unilateral curriculum nation-wide. He said that hard power is undoubtedly important yet peace is important and to achieve peace, civic approaches need to be explored which includes soft power approaches. 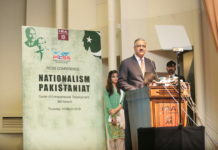 He highlighted the significance of Paigham-e-Pakistan and indicated that it has been signed by all the denominations of Pakistani society. These denominations include heads of religious seminaries, head of some groups of extremism organizations and Mufti’s of Central Asian states. 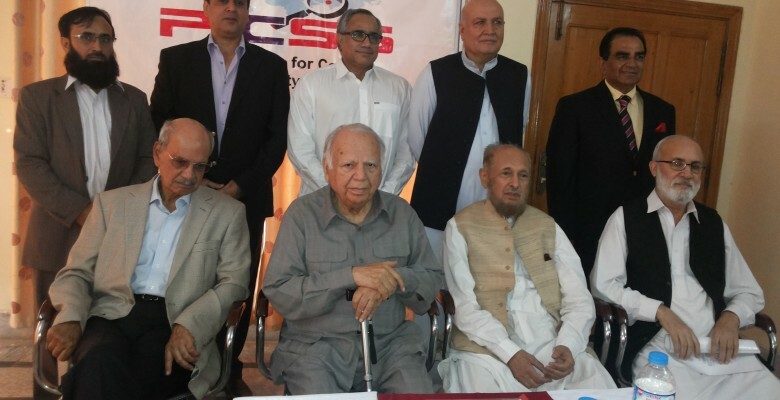 Around 5000 scholars have uptill now signed Paigham-e-Pakistan and violent circles have been on defensive lines with regards to this initiative. He critically highlighted that the entire world is against us and has been constant in depriving us of our basic rights while unfortunately we have been our own enemies as working together has never been on the agenda for Pakistan. He said that no programs of tolerance, acceptance, mutuality on print and electronic media are covered while subsequently none of the dramas on-aired on television highlight the real issues of the society. 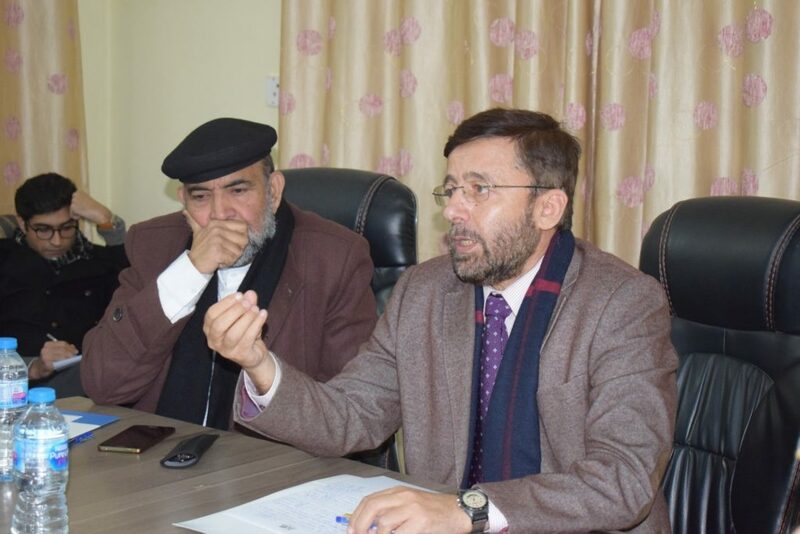 Dr. Qibla highlighted that traditional sports like Kabaddi and volley ball are mandatory for the youth though no concrete or properly planned out efforts have been designed for the youth. Poetry competitions donot take place anymore. Civilian institutions highly lack the working capacity towards addressing the major issues of youth and working for their future. Mosques and religious seminaries are another important place of training for the youth, though training of Khateeb is very important. Despite political debate, Khateeb of mosques can give their sermons on the topics which are impactfull. Narrating translation of Quran can give a very meaningful message to the youth. He mentioned Dawah academy of International Islamic University, who have prepared various such topics as sermons. 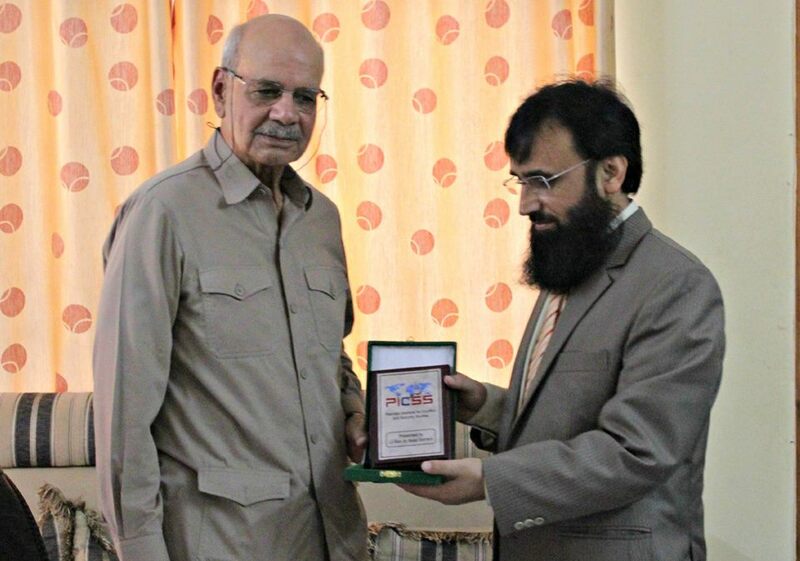 Dr. Qibla Ayaz emphasized the importance of various designed courses, trainings, and public talks on the issue of countering violent extremism that are very important. These areas can actually serve as the line of duty for countering violent extremism. A Q&A session was initiated in which Dr. Musarat Amin said that Extremist elements are attracting people because they are very clear in their message while on the other hand the Government is not clear about its approaches to counter extremism. She emphasized on the fact that we donot promote an agenda of peace and harmony. Why don’t we promote Sufism? Why sports and poetry competitions are not held most often? Dr Qibla Ayaz said that it is a question as how to persuade people to love their country and work for its prosperity. Representative of Belgium embassy asked a question from both speakers that what does Pakistan expects from the Europeans and what changes and policy measures are needed to reform NACTA. In response to the question Dr. Qibla Ayaz linked violent extremism to the war in Afghanistan and highlighted the fact that the stay of west in Afghanistan is not only pro-longing this war, but is also the major reason of violent extremism in Pakistan as well. 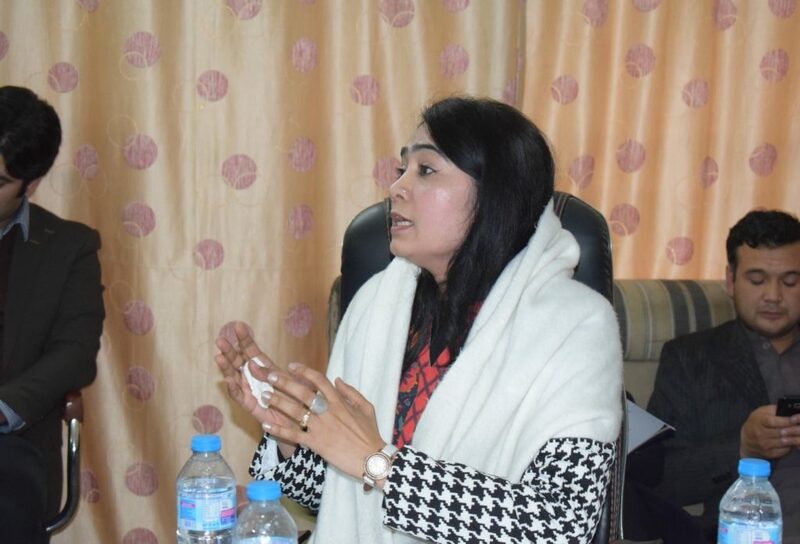 Dr. Musarat while responding to the issue of NACTA highlighted that Structural changes are mandatory and until and unless there are reforms and changes in NACTA civil institutions are unlikely to play a constructive role in this regard. Abdullah Khan MD PICSS added a comment that currently all the CVE initiatives are being run by Pakistan Army and if NACTA is headed by a Three Star General as well rather than a CSP officer, better coordination and cooperation is expected in initiating CVE programs. Dr. Makki from Nust University critically analyzed the whole debate pointing out the fact mere discussions and Roundtables are conducted without any practical implementation, and so it does not actually serve the purpose. US embassy representative asked about the role of media with regards to this issue. 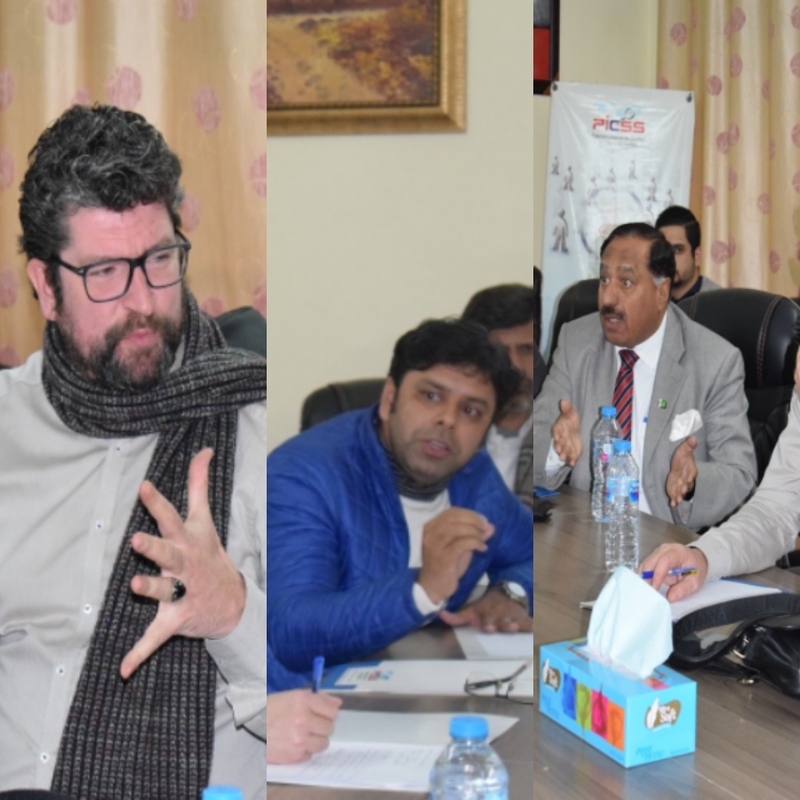 Dr. Qibla emphasized on developing the effective media policy in accordance with the national interest as in the modern times plays a very impactful role in creating a perception within the society. 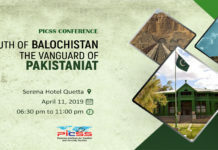 Chairman PICSS Maj General (R) Muhammad Saad Khattak in his remarks said that the world still remains on what terrorism actually is and what terrorists are and thus countering the agenda of violent extremism extremely difficult to be managed. He highlighted the fact that it is not poverty which is making the society radicalized rather ideological harmony is the major issue and this issue is not been even highlighted in the United Nations. He critically mentioned the situation of Iraq, Libya and Kabul in the fight against terrorism. There are a lot of capacity issues in the civil institutions while the de-radicalization programs are only managed by the military. The issues which should be addressed on a long-term basis are addressed on a very temporary basis and we have been always in a fire-fighting mode. While responding to the query of what west can do in this regard, General Saad said that the west should leave people to peace and if they want to help, help them in areas in which they are strong and provide your assistance in growing them. Practical application and implementation of policies is the major issue in Pakistan’s civil institutions which needs to be addressed swiftly. The session was concluded on the consensus of the policy argument that initiatives like Paigham-e-Pakistan should be propagated and advertised properly and educate people about it. Secondly, educational institutes are the hubs of change and thus CVE initiatives should be included in the curriculum. Next articleSuicide attacks as the major tool of militants fighting against the state.